Dental correction is an issue that mainly affects young adolescents and kids. For the vast majority of young people, dental braces are a necessity. There are many signs that will foreshadow when your child will need to undergo this orthodontic procedure to have their teeth corrected. However, the signs that a child needs braces are not always obvious. Many kids have evident dental issues while others have issues that are not as obvious.The best way to determine when your child needs dental braces is to consult with a dentist or orthodontist. There are a few signs that can ultimately help you decide when your child will need dental correction for their teeth. Crooked teeth are one of the most obvious issues a child will have when they need dental braces. 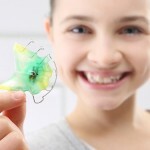 If your child is experiencing dental pain or discomfort, issues with chewing and speaking, or feeling embarrassed by their own physical appearance because of their crooked teeth, it is time for your child to undergo this orthodontic procedure. This can ultimately prevent larger issues from occurring in the future. Missing teeth and teeth that never descended is another sign that it is time for your child to get dental braces. Some kids may still have some of their baby teeth in tact. A gap may also be present where the new tooth should be. If your child is experiencing either one of these issues, it is time to invest in getting dental braces for them. 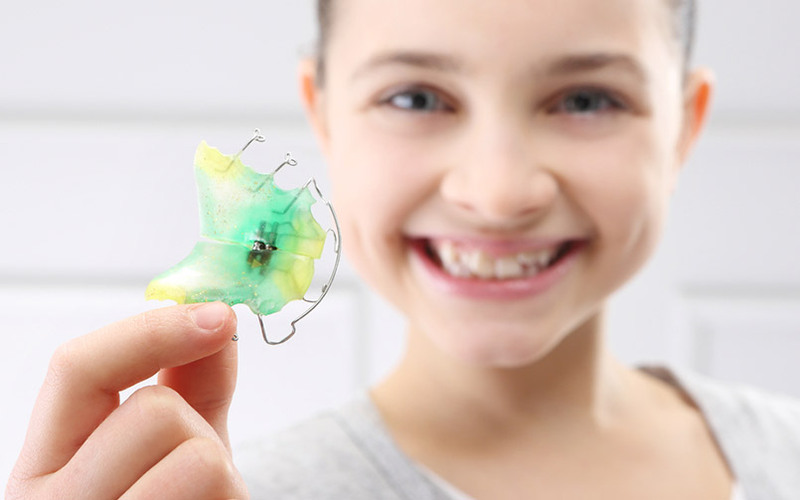 By making the decision to have this orthodontic procedure, you can be assured that the other teeth will stay in place and will ultimately develop properly while your child’s tooth that never descended will be guided in its proper location. If your child is having issues chewing or they are having difficulty closing their jaw, it is time for them to get braces. The issue of teeth that may have grown incorrectly cannot also be seen at first glance. Although teeth may appear to be straight, they could ultimately be causing issues at the root. If you child has a difficult time chewing or they have issues when they try to close their mouth, this could be a sign that it is time for them to undergo this orthodontic procedure. These are just a few of the signs that your child may need to get dental braces.The best age to undergo this orthodontic procedure varies from each patient. Orthodontic treatment typically begins between the ages of 8 and 14. This is the ideal age because kids in this age range are still growing and have a few permanent teeth. It is recommended that your child’s first evaluation visit takes place before they reach the age of 7. If it appears as though your child is having difficulty chewing or closing their mouth, have crooked teeth or having missing teeth or teeth that never descended, it is best that you consult with a dentist immediately. The dentist may ultimately advise you to consult with an orthodontist. By getting the opinion of both the dentist and an orthodontist, you can determine whether it is the right time for your child to get braces. A failure to get braces in a case when they are truly needed can ultimately lead to long-term medical issues in the future. This orthodontic procedure is the best way to ensure your child is able to have a beautiful smile in the future. Although this orthodontic procedure can be scary to most people, the end results are always worth it.